Saturdays from June 15 to September 28, 2019! brought the house down at St. Kieran Arts Center yesterday! ...tours in Belgium, the UK, and USA in Florida and the New England States. ...a featured performer at the 40th Anniversary of the renowned Tønder Festival in Denmark. ...UK tours that included Celtic Connections in Glasgow, and an opening set for Capercaillie at the Celtic Footprint Festival in Chichester. 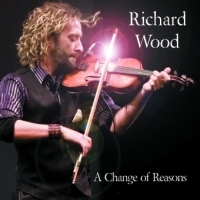 ...Richard won "Roots Traditional Solo Artist of the Year" at the Prince Edward Island MUSIC Awards, and was a nominee at Canada's East Coast Music Awards. At that event, he performed in concert with the Nova Scotia Symphony, as well as on the Gala Awards Show. ...an APPEARANCE AT THE WOODFORD FESTIVAL IN AUSTRALIA!!! ...there were several performances in Quebec, Ontario, the New England States, Florida, North Carolina, Manitoba, Alberta, and of course Atlantic Canada. Summer highlights at home on beautiful Prince Edward Island included performing for the Duke and Duchess of Cambridge's Royal Visit, the Festival of Small Halls, and a popular weekly concert by the Richard Wood Trio in the Stanley Bridge village hall. For all touring details keep checking his schedule page.